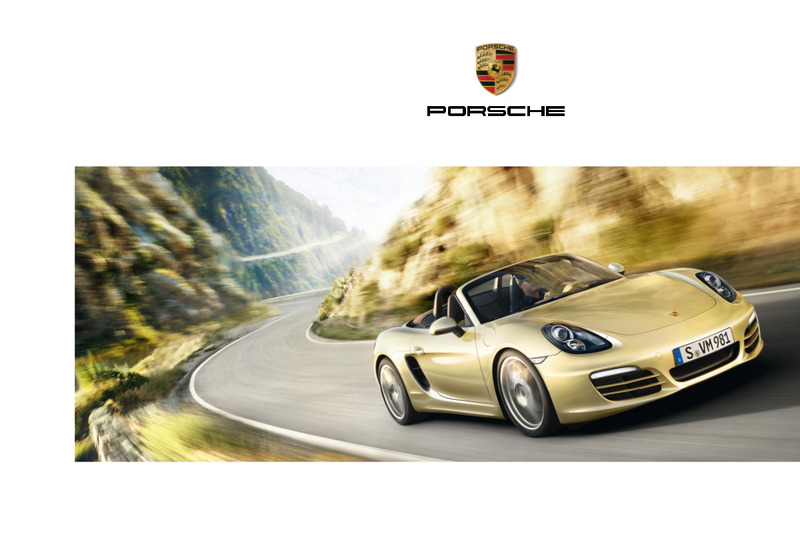 Sales brochure for the 2014 Porsche Boxster and Boxster S. The Boxster has a 265hp 2.706L V6 and the Boxster S has a 315hp 3.436L V6. Exterior color options are White, Racing Yellow, Guards Red, Black, Rhodium Silver metallic, Sapphire Blue metallic, Dark Blue metallic, Amaranth Red metallic, Anthracite Brown metallic, Agate Grey metallic, Basalt Black metallic, Lime Gold metallic, and Cognac metallic. Brochures are presented for research use only. Company marks, emblems, and designs are trademarks and/or service marks of Porsche.